Documentary Filmmaker, Installation Artist and Creative Producer for Virtual Reality and Performance. Tessa is an Artist and Filmmaker who's work explores Immersive Installation, Documentary and Interactive Art Theory. She works with Virtual Reality and other ‘new technologies’ as tools toward effecting and immersive audience experience. She is a Producer and creative prototyper for VR, MR and XR projects and teaches 360 filmmaking and VR critique. Tessa has curated, programmed and managed Virtual Reality spaces at festivals and events including Sheffield Doc Fest’s VR Campfire 2017 and Open City Doc Fest 2017. Tessa works as Creative Producer at Limina Immersive alongside industry pioneer Catherine Allen, bringing VR to diverse audiences across the UK and curating interesting, beautiful and challenging VR works. 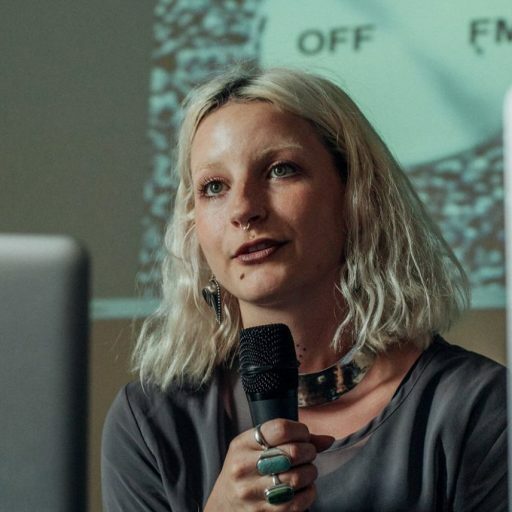 Tessa is an associate producer at Sumberge Festival Bristol, a digital arts festival with a focus on the hybrid space between performance and digital artworks and queer perspectives. Tessa is also part of the collaborative project ‘The OthVRs’: a collection of artists working in 360 film, VR and new media to create experimental works exploring neurodivergent, queer and other ‘othered’ experiences. In all her work Tessa is concerned with skill sharing, representation, inclusivity and accessibility for audiences and makers within the VR and the immersive media landscape. A short documentary about my mother’s life before me. Skin Flick, 2014, was an interactive television set where the screen itself was a touchable skin membrane. The work made literal the invasive male gaze of television and media as touch. The screen as a stand-in for the female body. Dove Box and Wants What It Wants What It Wants, where commissioned works for interactive arts events around Leeds, Vantage art Prize 3 and Temple Works. The Moon is the Oldest TV was an immersive installation for Matters degree show. Tomorrow is the first day of the rest of your life? ‘Tomorrow is the first day of the rest of your life’ was a series of zine’s released with a selection of images from my own life combined with motivational slogans of workout DVD’s.